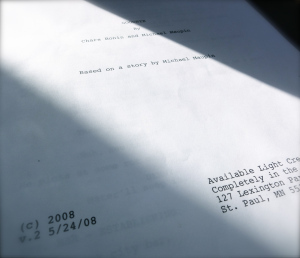 I’d entirely forgotten that, in the spring of 2008, I almost produced my first short film. I’d written a script with Chars Bonin, an actor-director friend, who cast three other actors. We scheduled production for the weekend of May 30. We chose that date because it was the only time the tower would be open to the public, and we’d be able to shoot our final scene from the top. ~ by completelyinthedark on February 17, 2017.